Editor’s Note: This article appears in the March 2017 issue of All About Beer Magazine, which is now on newsstands. Waiting is a natural part of beer. Brewers wait for their creations to ferment. Customers wait in line to buy the latest releases. Cellars are full of bottles, waiting to be savored. But before any of that takes place, there’s the wait to open, to actually start making the thing that sets the whole labor of love—and patience—in motion. In recent years, the time frame has grown longer. According to annual numbers reported by the Alcohol and Tobacco Tax and Trade Bureau (TTB), the government office that oversees permits and licensing for the beer industry, breweries had to wait an average of 166 days from application to federal approval to operate in September 2016, the latest month of available data by press time. That wait time is more than twice as long as in 2013 and 37 days longer than the 129 days averaged in September 2015. The change has been a natural repercussion of about 2,000 breweries opening from 2013 through 2016. Applications are rolling in from all over the country, and TTB staff members are simply doing the best they can to keep up. Thirty-one specialists currently handle all alcohol business applications for the TTB, which also includes wineries and distilleries. That number has stayed consistent in recent years, Hogue says, because additional staffing has been applied to other areas under the department, including label and formula processing. That increase came at the direction of Congress, which appropriated $5 million specifically to improve label and formula processing times. In all, the TTB employs about 470 people nationwide to handle permit applications, tax returns, review regulations and more. That doesn’t take into account why some applications may take longer than others due to elements missing in paperwork that can range from information on a business’s source of funds to blueprint layouts of a brewery. But as the permit process has extended in recent years, some owners are taking that time frame as an opportunity to be proactive. After submitting 2nd Act’s permit application in mid-September, Galluppi and his two partners started building the brewery’s social media presence. They also went door-to-door to meet restaurant and bar owners to begin relationships that could earn them tap handles once their Steel Sax IPA and Lederhosen Hoedown dunkel started flowing. Friends helped create tap handles, brewery apparel was ordered and 2nd Act entered beers into competitions for feedback on potential tweaks to be made before opening. In the end, Galluppi turned out to be lucky. TTB approval arrived Nov. 1, about six weeks after the initial application was sent in, well ahead of the average wait time for other businesses. Unfortunately most small businesses working with limited resources don’t have the luxury of waiting on the TTB, mostly because they’ve already spent the majority of the time-money satisfying their local regularity counterparts – not to mention they’re losing money for every day they aren’t open. I understand the need for regulation – most of it ensures consistency and transparency – but I see no need for any of it to come from the federal level. 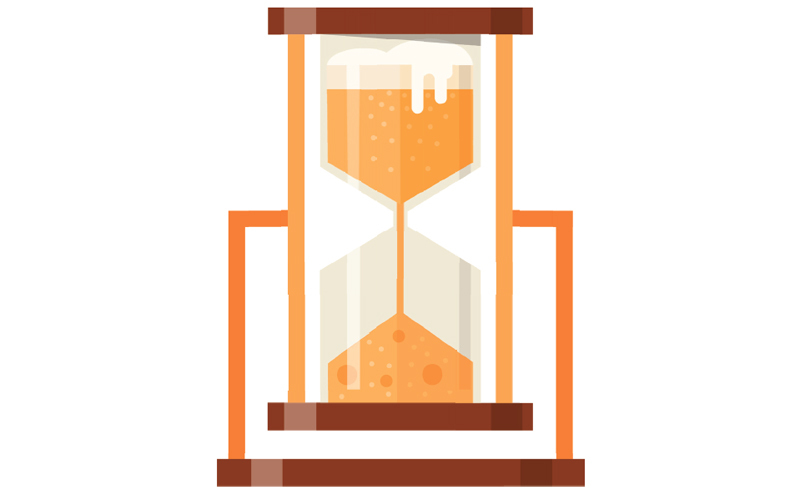 TTB is simply another layer of unnecessary red tape that undermines current laws that exist on the state and local levels (that are usually enforcing similar regulations), and it leads to another waste of valuable time for startup breweries and retailers to come to market. This ultimately hurts the consumer. Not to mention it reallocated resources from the federal government, which has a much larger burden than deciding what breweries should/shouldn’t be producing.